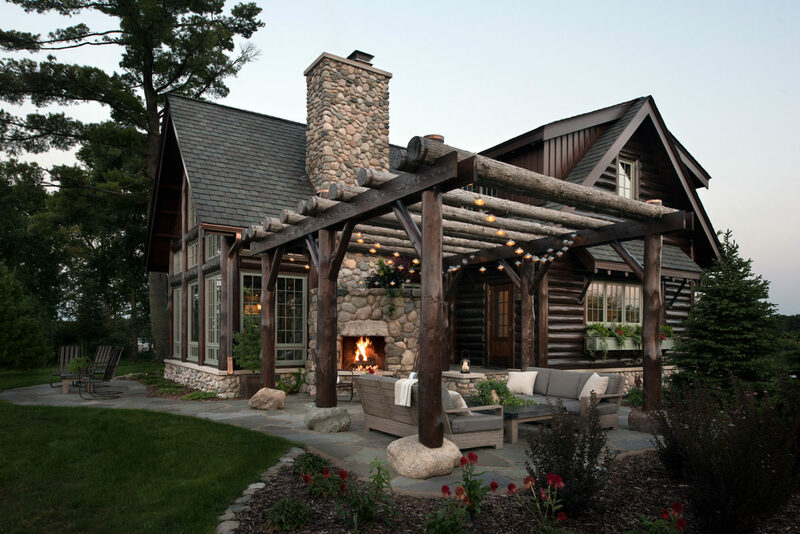 At first glance, this is the quintessential Northern Minnesota log cabin; its classic story and a half form looks as though it was linked to smaller stone structures at some point in time. 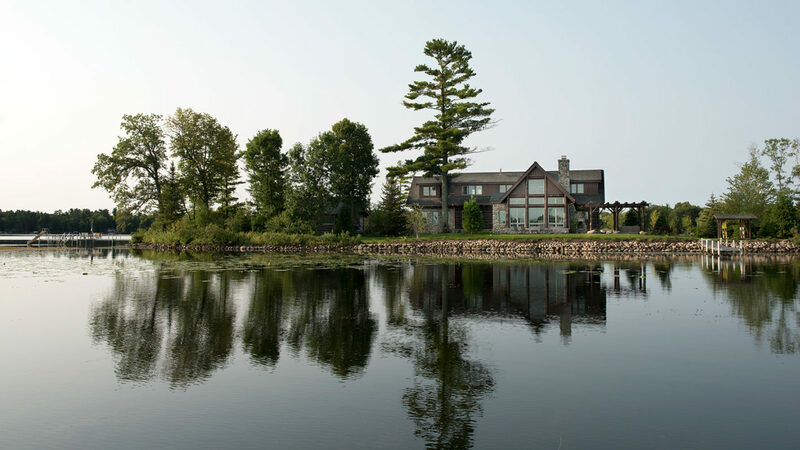 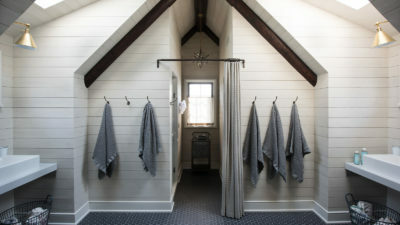 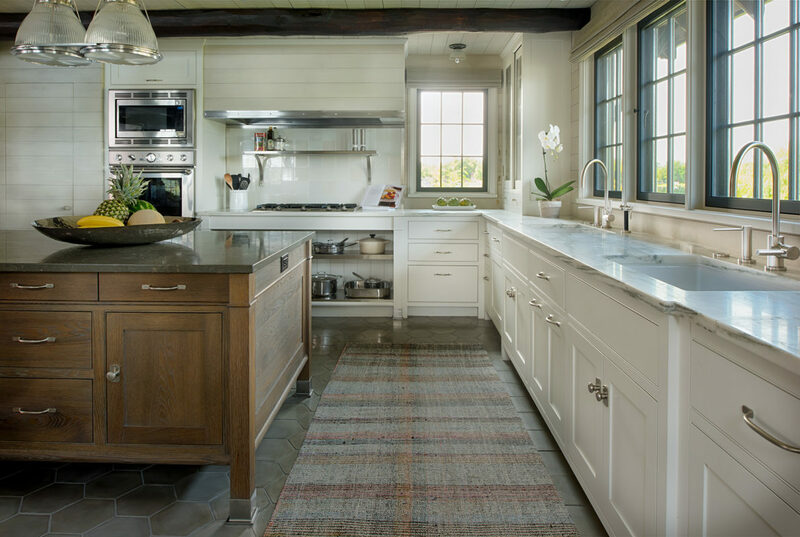 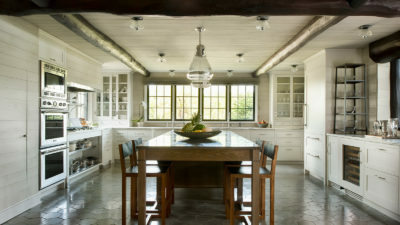 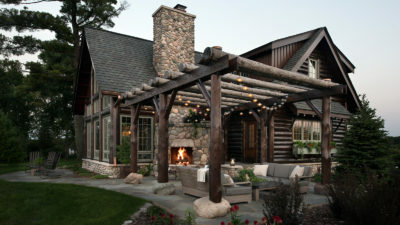 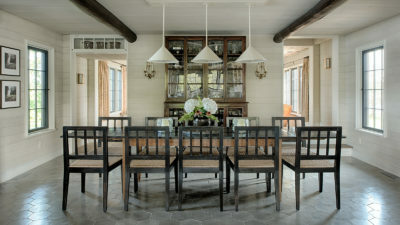 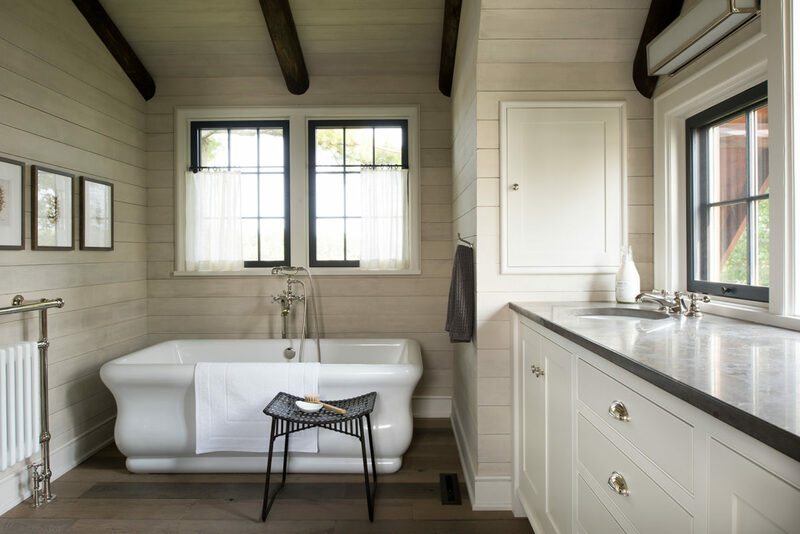 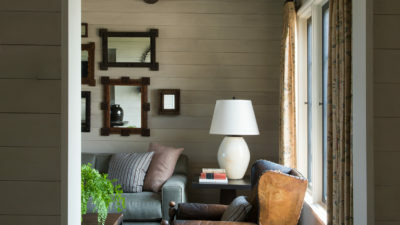 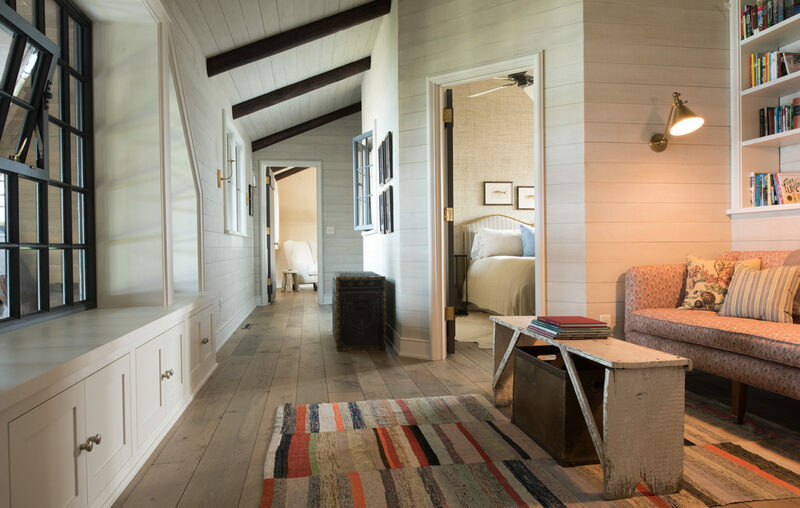 There’s no question you are “at the cabin,” and finishes used throughout add an unassuming layer of sophistication. 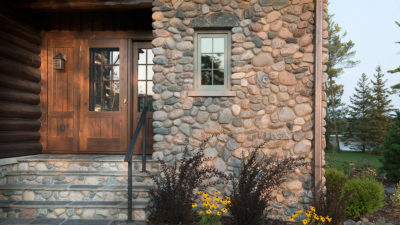 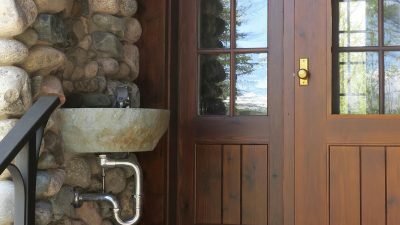 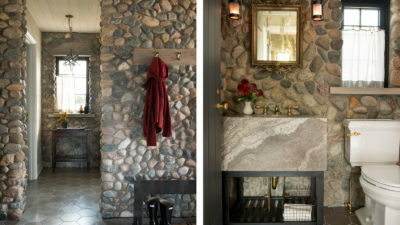 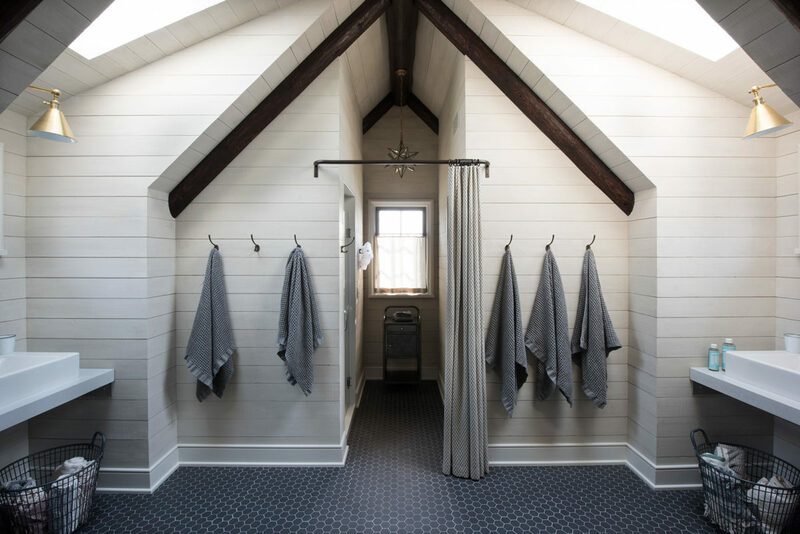 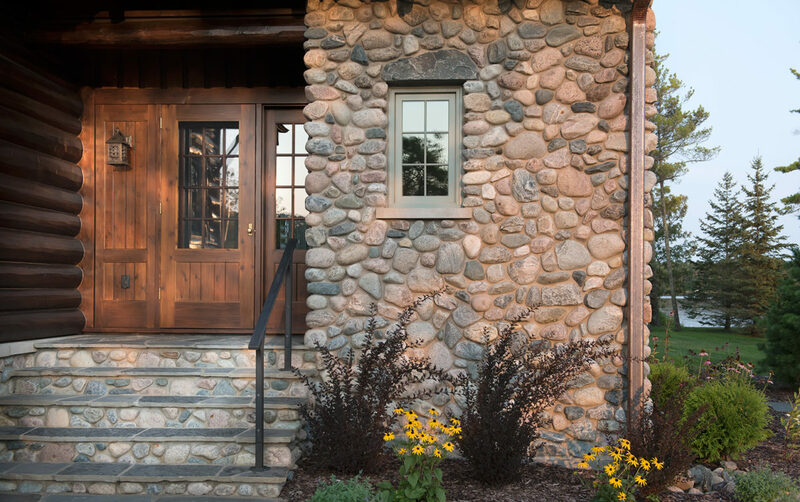 The stone exterior walls continue through the entry and mudroom, creating a durable backdrop for wet towels in the summer and snow gear in the winter. 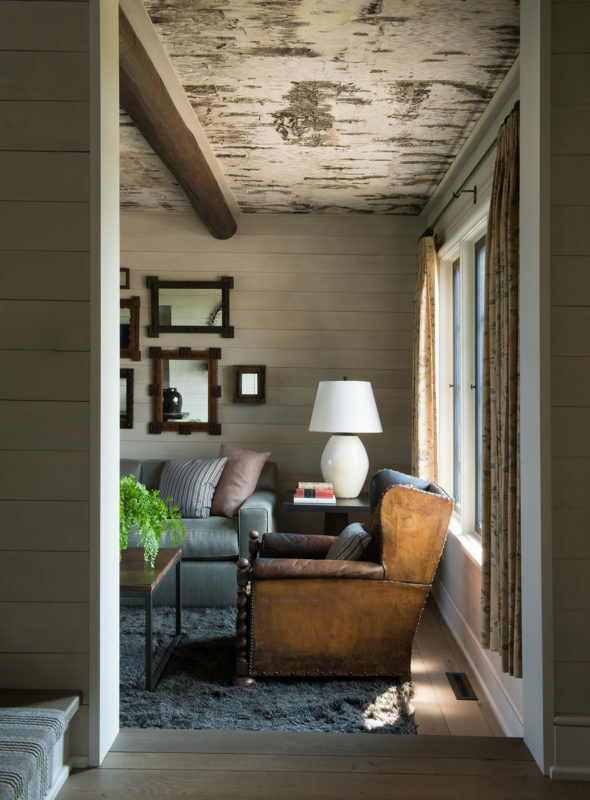 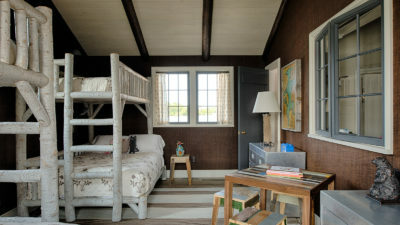 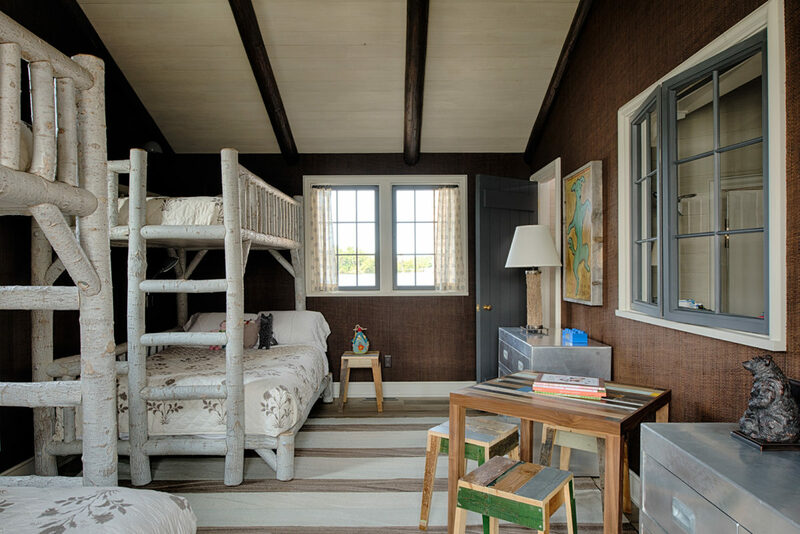 Lime-washed wood walls and ceilings give the interior a rich patina, and a birch bark ceiling warms the den. 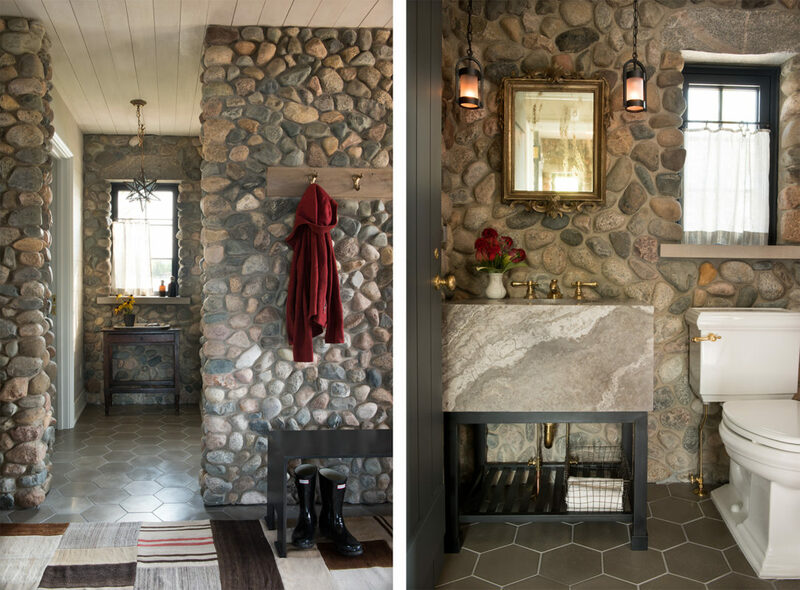 Concrete hex tiles spanning from mudroom to kitchen and dining room combine a durable, humble material with a refined shape and finish. 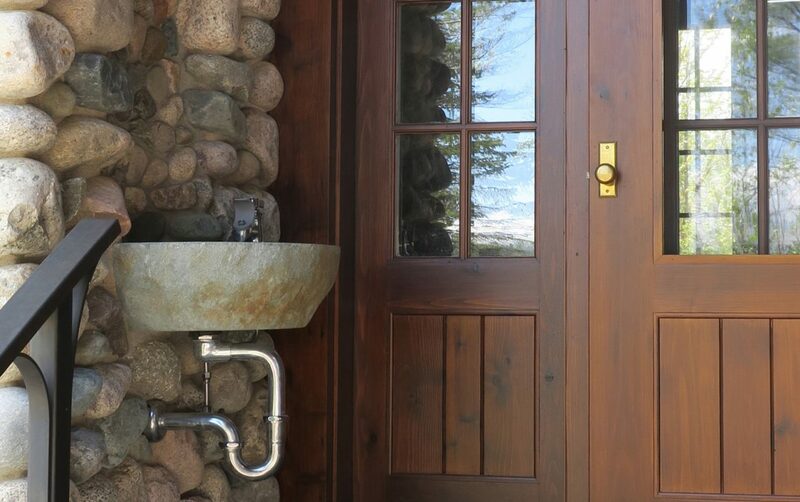 A carved stone drinking fountain inset at the back stoop creates the perfect pit stop for grandkids. 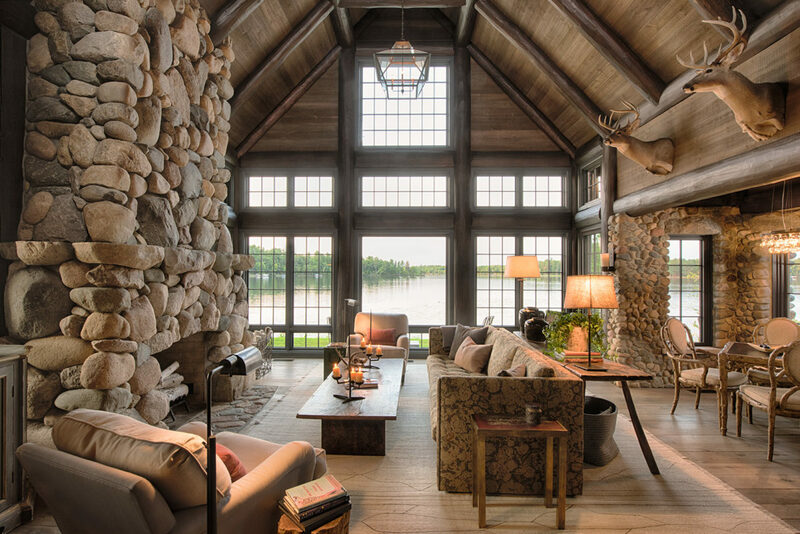 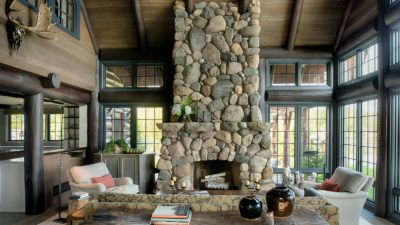 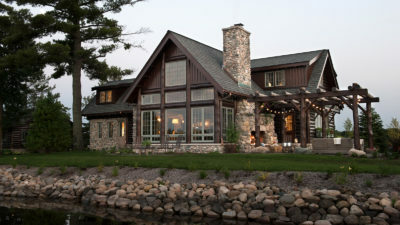 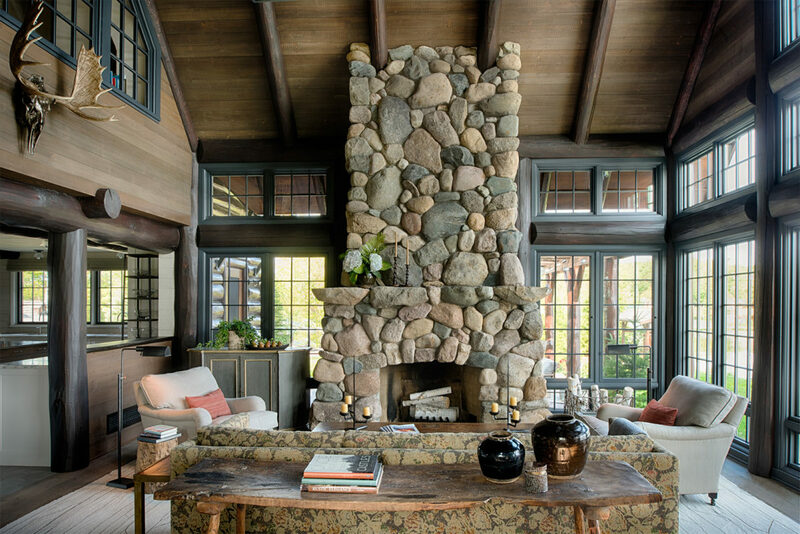 In the timber frame living room, a dramatic stone fireplace is balanced by a stone-clad game nook, and a large wall of windows frames long views of the lake. 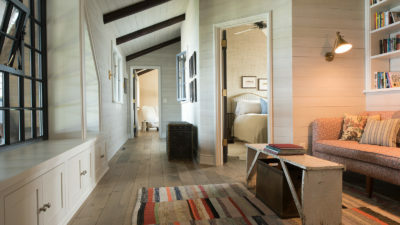 This is a house with an assembly of intimate spaces, each with a perfect dose of cabin charm.